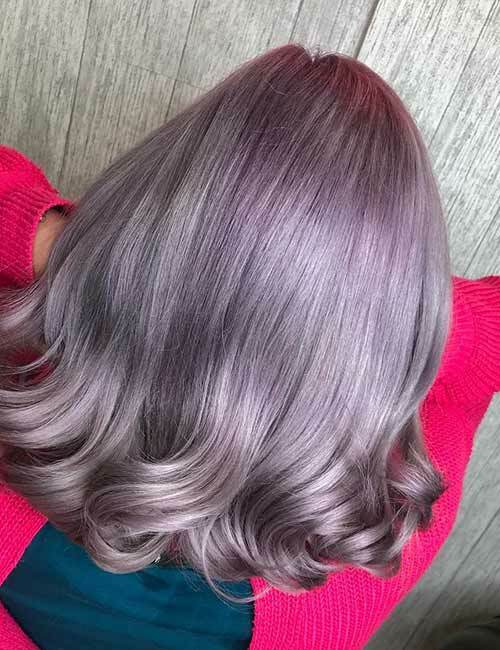 Winter may be a great season to show off your over-the-knee boots and chic coats, but it is also the perfect time to flaunt a fancy new hair color! 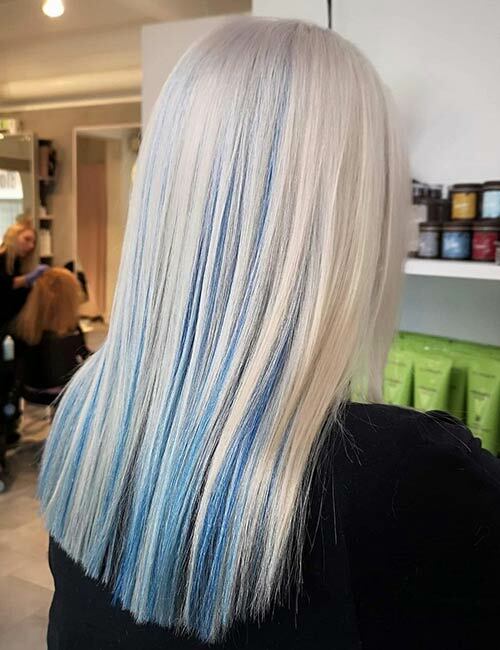 With all the blue, white and beige tones flooding your Insta-feed, I know what must be running through your mind – what are the best hair colors that go with the winter vibe? Well, fret no more! I’ve curated a list of 40 best hair colors you absolutely need to sport this winter. 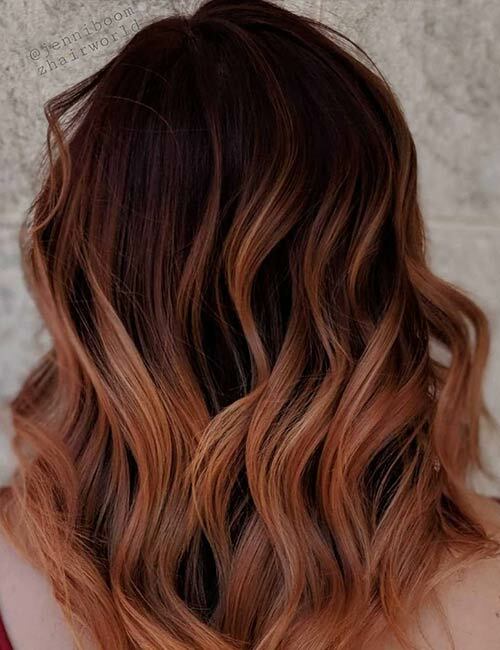 Check them out below to get some hair inspiration! I’m starting off this list with a bang! 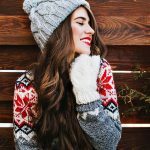 Most women tend to go too warm or too cold with their hair colors during this time of the year. While that does look good, nothing looks better than this an understated sandy blonde shade. It has just the right amount of warmth to brighten up your winter. 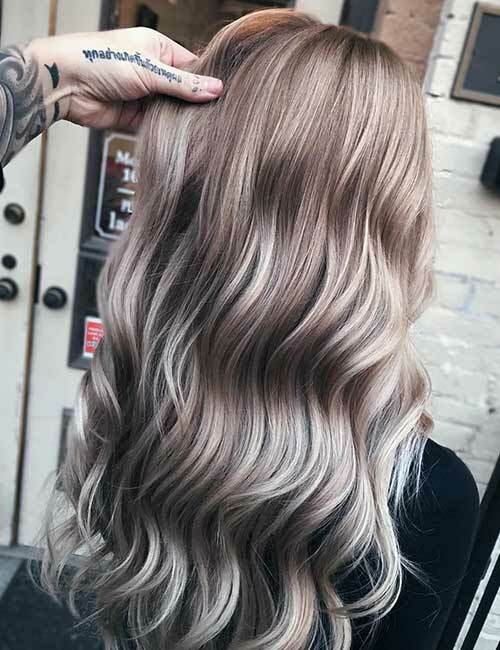 Ash blonde is one of the best hair colors to welcome the winter with. This ashy beige mix goes well with the snow. You can also get some flawless pictures of this gorgeous blend to flood Instagram with! Do you feel particularly inspired by Queen Elsa this winter? Do you want to “let it go”? Embrace your inner snow queen with this surreal winter white shade. It accentuates all eye colors beautifully. 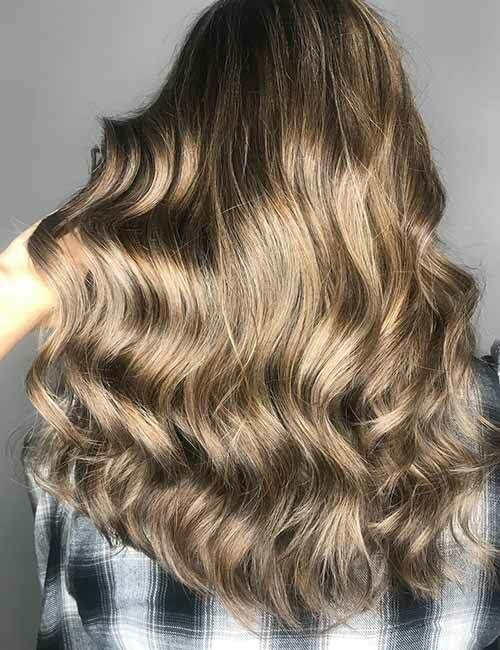 Brown hair is sure to be a winner this winter. 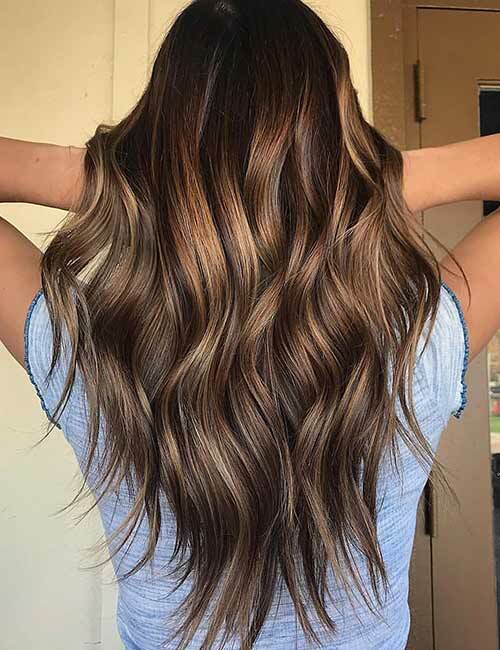 This brown dimensional balayage will make your fireplace snaps look stunning. Pastel colors have been trending for a while now, so it’s only fair that I found a pretty shade of blue to please your pastel senses. This frosted blue is muted while still looking vibrant in its own way. It is the perfect color to flaunt this winter. Wood has inspired many hair colors like mahogany, walnut, and pine. So, it’s only appropriate that the season with the most wood usage (thanks to the ever warming fireplace) would inspire one as well. I like to call this bright blonde shade silver fir since it has a subtle woody tint. Sit by the fireplace with some hot chocolate topped with marshmallows and watch the fire burn bright. 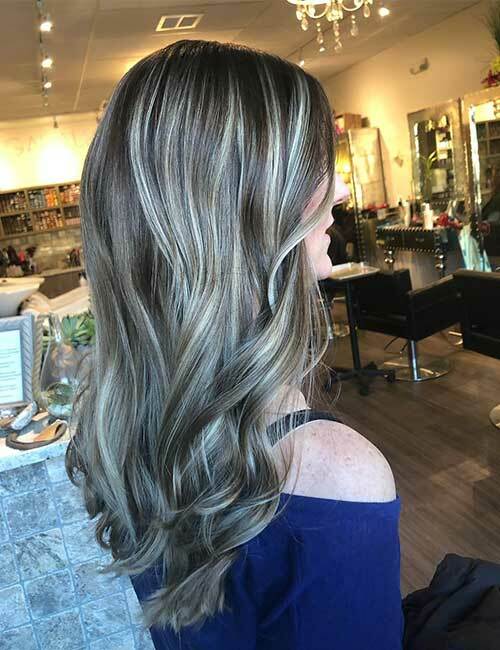 This brown balayage with blonde highlights will make you feel that warmth even on those extra cold nights. Winter is the season of snow. You’ll see your car, house, yard, and practically everything covered in it. Add a hint of gold to your brown locks to add some warmth to your landscape! It will look stunning when paired with any winter coat. This is one of the warmest hair color blends out there. These earthy brown and auburn shades are perfect for battling the cold of winter. String out some fairy lights and get ready to click some seriously stunning pictures with this hair look. Browns go really well with all winter color palettes. 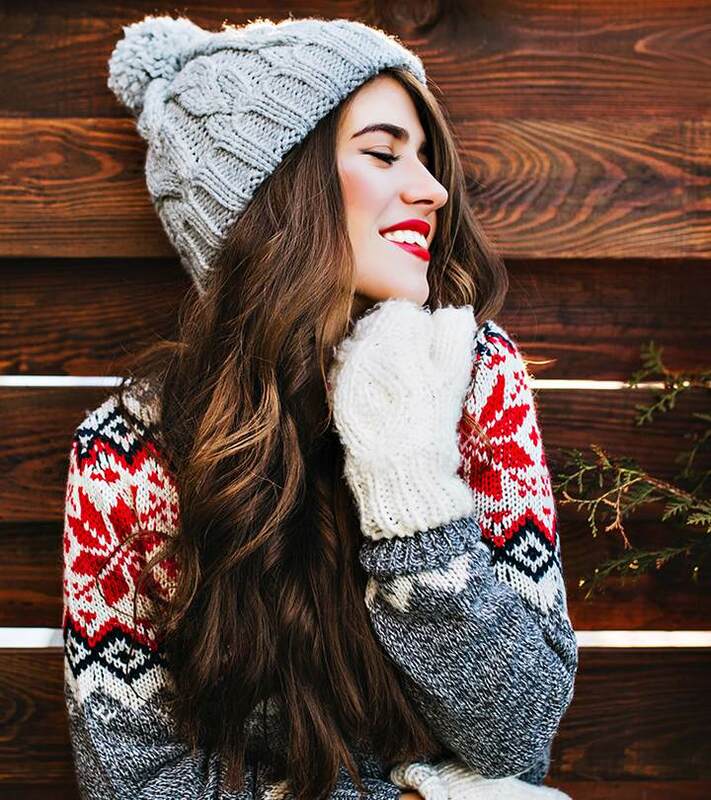 Opt for this toasty brown shade that will look beautiful with all your oversized sweaters! 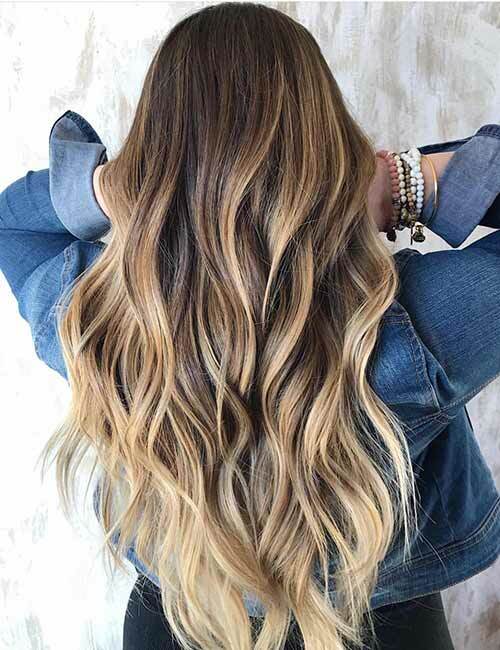 Style your hair in waves to add a relaxed vibe to this look. The unicorn color blend is the exact opposite of the summer phoenix color blend. 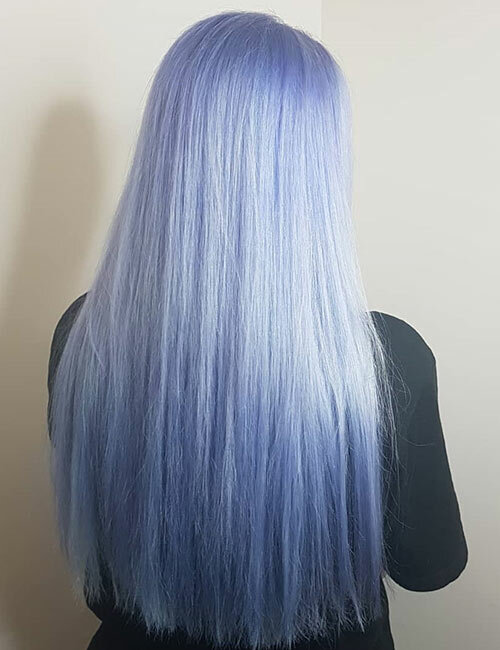 This lilac hair look ends in a wonderful pastel palette to satisfy your colorful needs. 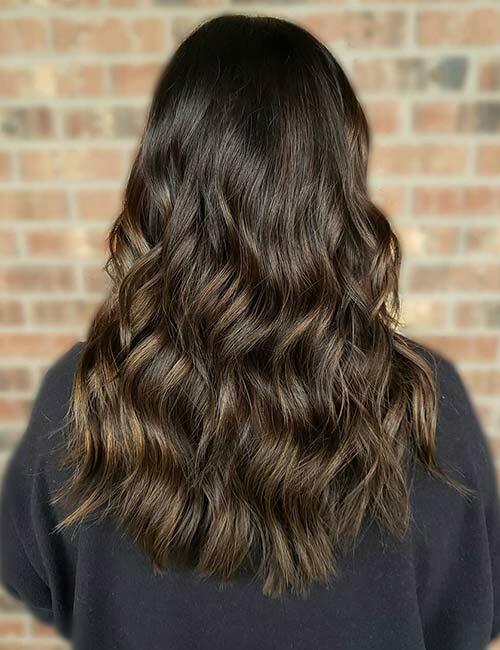 A brown dimension is a great way to make your hair look flawless for those countless Instagram pictures you’ll be taking during the winter. It adds texture and dimension to your hair, making it look thicker than it is. Deep chestnut is a lovely, deep shade. It creates a great contrast against the white snow. A deep and luxurious color like chestnut looks amazing with oversized sweaters in gray and beige shades. Winter is the season when blonde hair blossoms. It is a subtle color that blends well with the cold theme while also creating a sense of warmth. Keep the roots of your bright blonde hair dark to add dimension to your hair look. 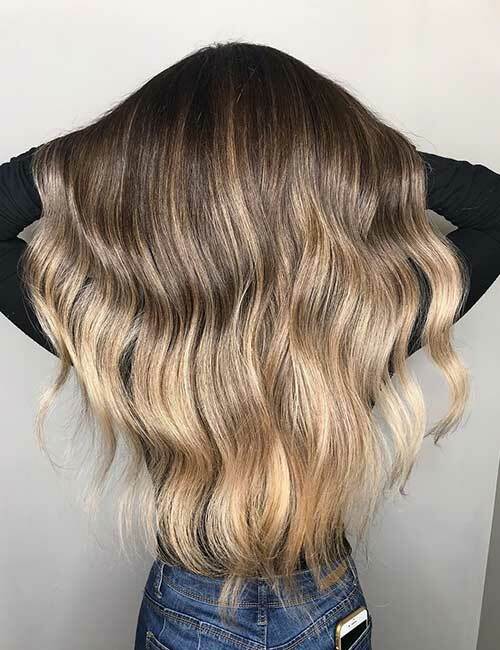 Blonde and brown come together to create this heavenly blend. 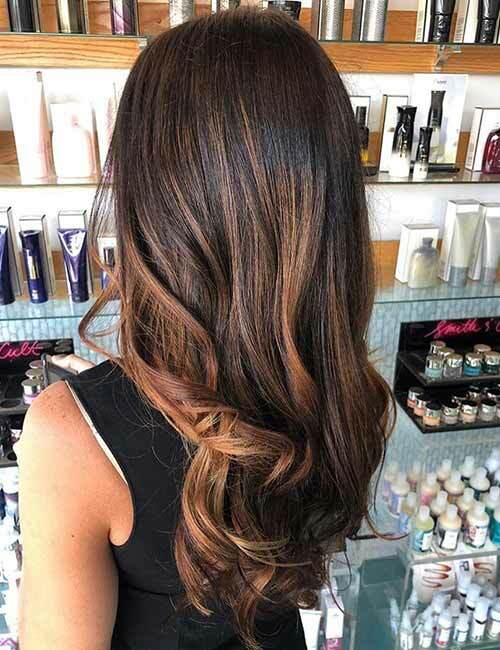 This gorgeous bronde look is best described as a marriage between chocolate and caramel meet. It is perfect for the season of frost. Get fiery this winter with some stunning red highlights. The key is to not go over the top with the highlights but to blend them in seamlessly. Opt for a red shade that is close to your natural hair color. I’m sure you’ll love it. 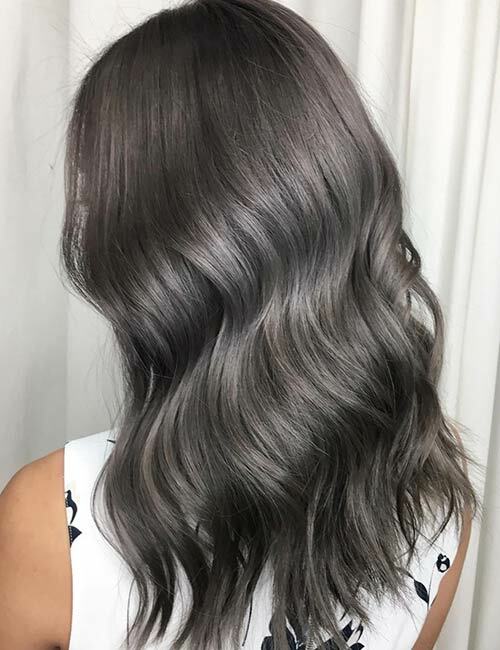 Gray is one of the trendiest hair colors right now, so it feels only right to include it in this list. Depending on your skin tone, it can accentuate your facial contours or soften them. If you have fair skin, it will soften your face. If you have a dark skin tone, it will define its outline. Brown is a warm color. It makes me think of hot chocolate, brownies, and espresso. So, naturally, it looks great during the colder months. If your skin has a cool undertone, opt for a cool-toned brown and keep your roots a tad darker than the rest of your hair to add dimension. If you have wide cheeks and want to slim them down, try this hair color blend. The dark roots make your face look longer while the blonde locks will soften your face shape. 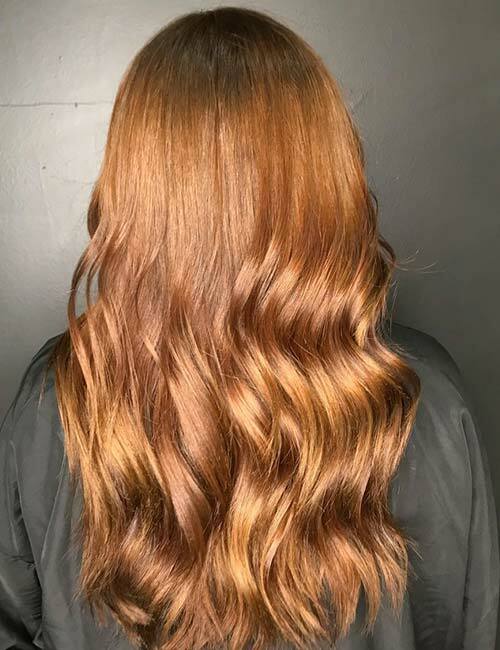 Brown and blonde come together to create a gorgeous color blend for winter. You can experiment with warm- and cool-toned shades of these colors to find a hair look that matches your personality. 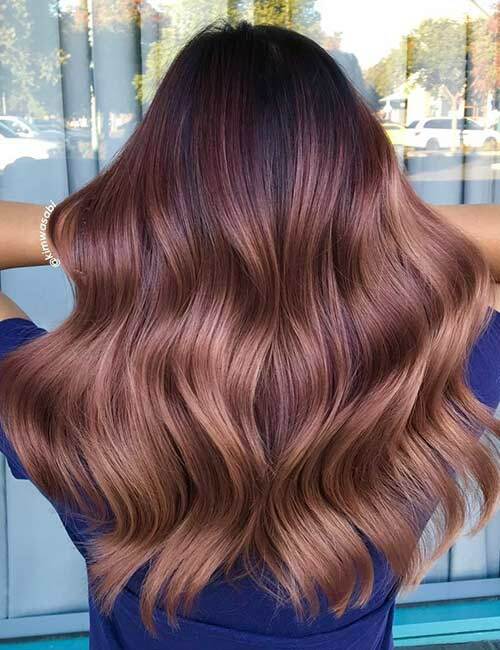 Go for an ombre style to make your hair look flowy and beautiful. Lowlights are streaks of a darker color that are used to accentuate your natural hair color. Opt for lowlights that are two tones darker than your natural color. You can also add hints of white to give it a nice winter twist. The goodness of caramel is beyond measure. It makes everything look better. Just take a look at those lovely caramel highlights. They add not only warmth but also a nice sun-kissed touch to the hair. Yes, in the battle between brown and blonde, pastel pink takes its stand this winter. If you want to bring some color to this snow-laden season, go for this surreal pastel pink shade. 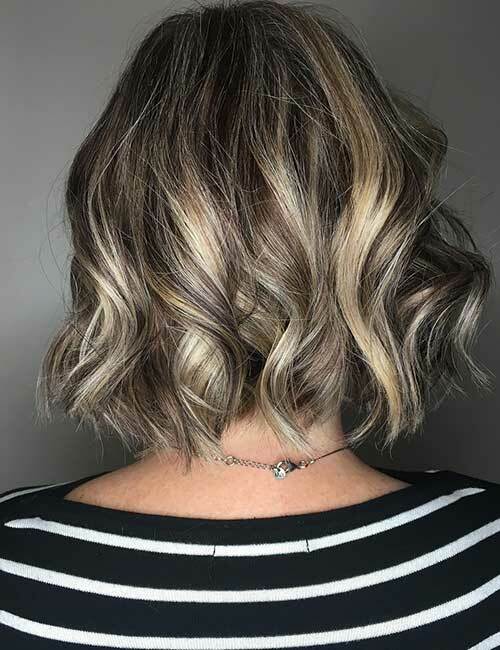 Instead of going for a just a pop of color, opt for a more intense dark and light balayage blend. Instead of opting for a bright shade of red, go for a more muted auburn. 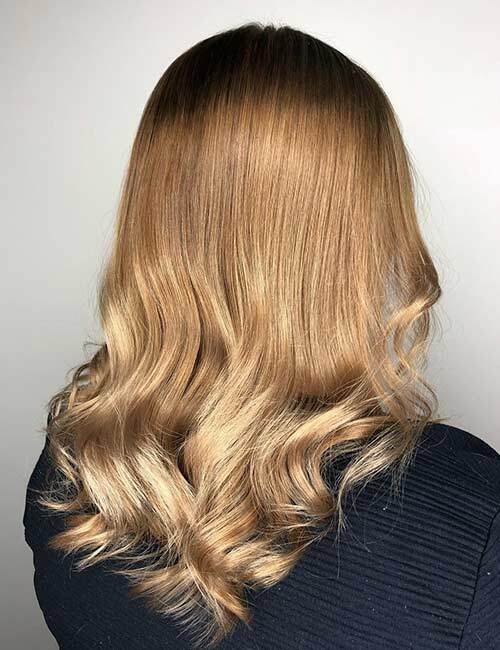 Fade it into a lovely sandy blonde hue to create this stunning contrast look. The red will give the blonde a pretty strawberry-blonde touch. 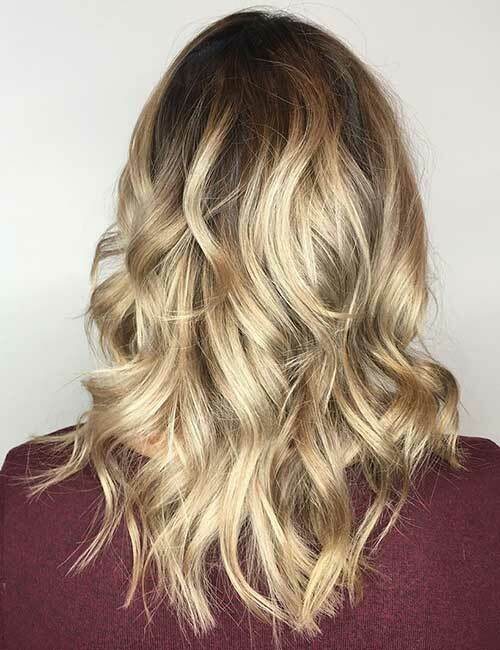 If you’re a natural brunette and want to amp things up a few notches, try this blonde dimensional balayage. 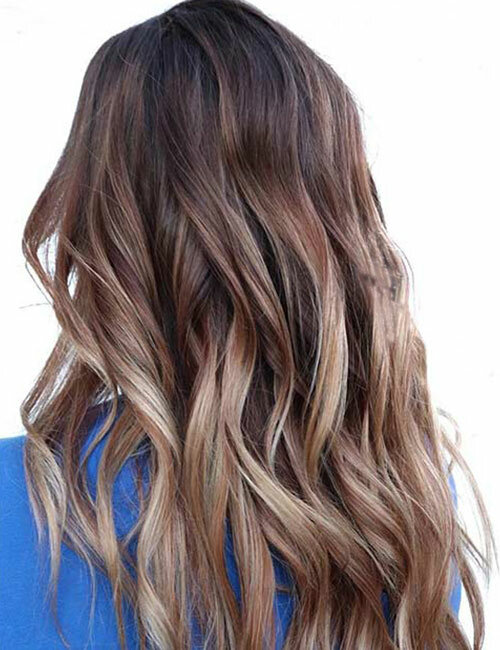 The balayage makes the blonde blend seamlessly into the brown hair. What would this winter-themed list be if I didn’t add the primary cool color to it? Yes, I’m talking about blue! 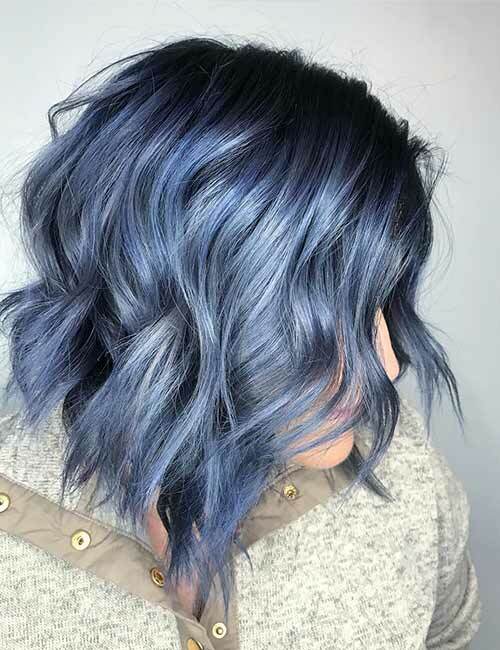 Go for blue highlights instead of coloring all your entire hair. Add some white highlights to really bring out the Frozen vibe. 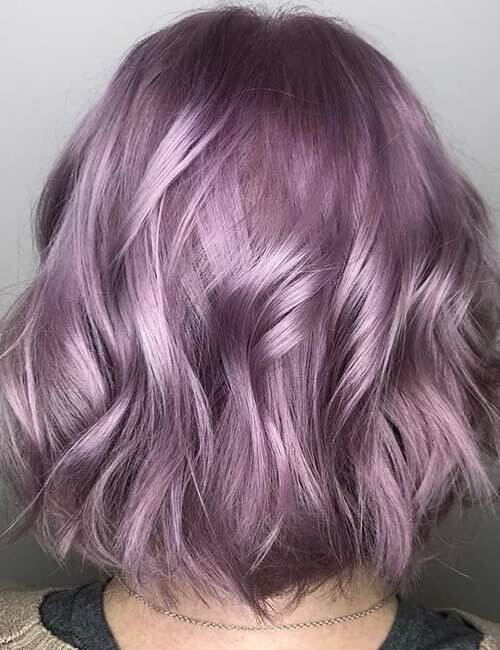 This winter, win everyone over with this stunning pastel purple shade. If you are craving a drastic makeover, cut your hair in a short bob and curl it to showcase your purple locks. This muted lilac shade makes the sun’s rays appear warmer. It is perfect for those cold winter nights. On the whole, it looks pretty surreal. If you have brown or hazel eyes, this shade will make them stand out. Lavender symbolizes grace, elegance, and mature femininity. 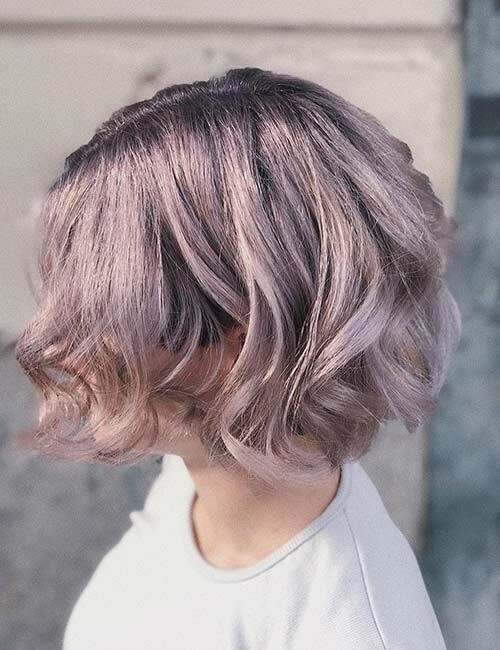 Opt for a nice pleasant lavender hair color this winter. It will go well with the snowy, woodsy theme of winter. It will also look great under the soft light of the fireplace and fairy lights. 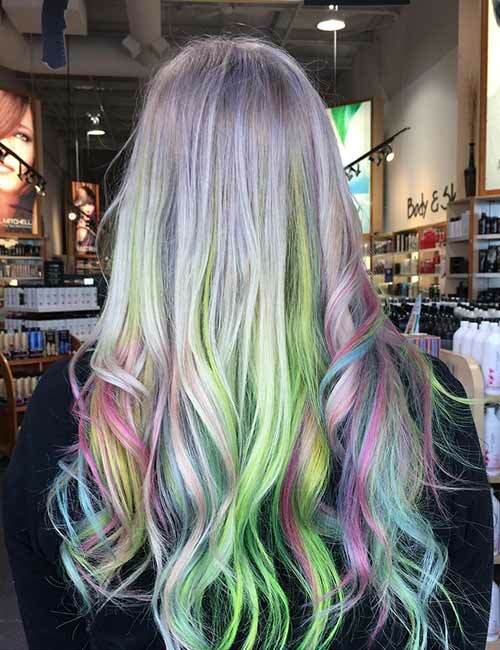 Some women love going all out with their hair color. They do it to show off their vibrant personality. Try out this lovely powder blue shade with subtle hints of white. It’ll give you ice queen feels. 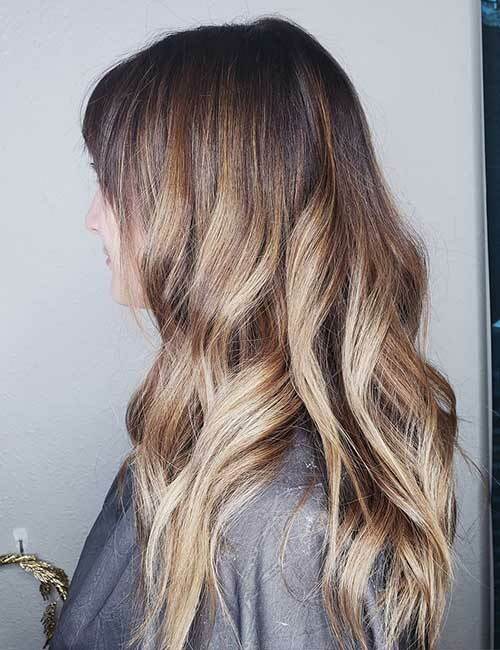 Add some dimension to it by keeping the roots and ends darker and the mid-section more frosty. 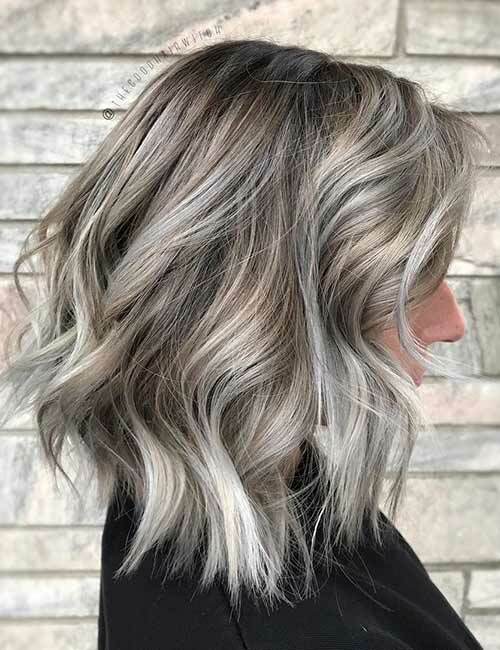 In my opinion, this is one of the best winter hair color blends ever. 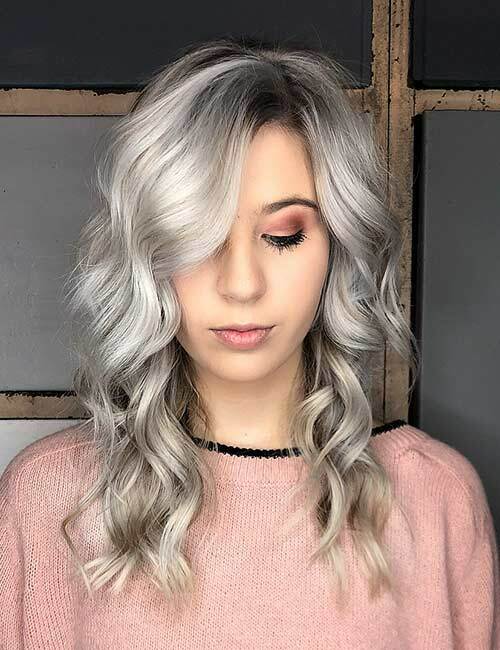 Golden blonde blends with this lovely silver ash shade to create this icy blonde balayage. 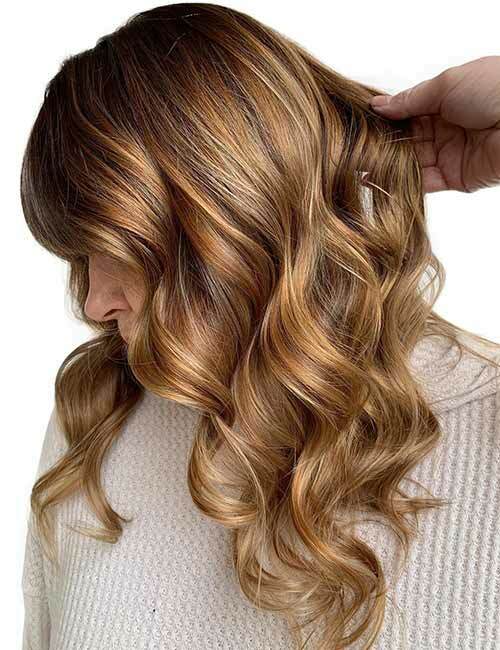 Opt for a balayage over highlights or streaks as it gives your hair a more natural look. 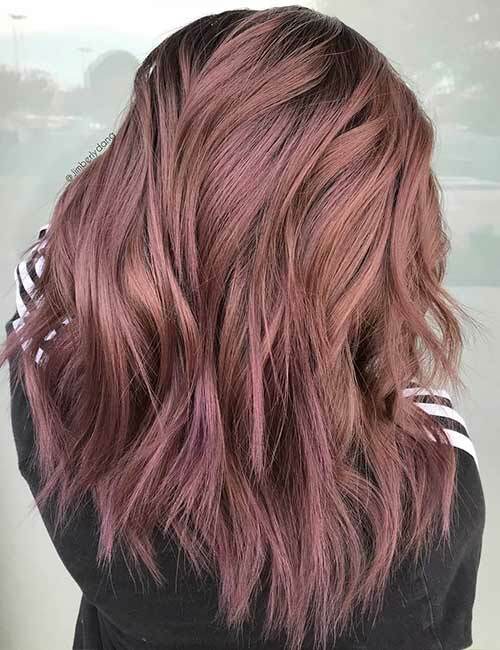 Mauve is a brilliant color that is great for accentuating your wavy tresses. It looks like a mix of burgundy and purple with hints of pink. On the whole, it is a warm color that will look spectacular in the winter. Smoky hues look mysterious and intriguing. Go theatrical with this flawless smoky purple blend. 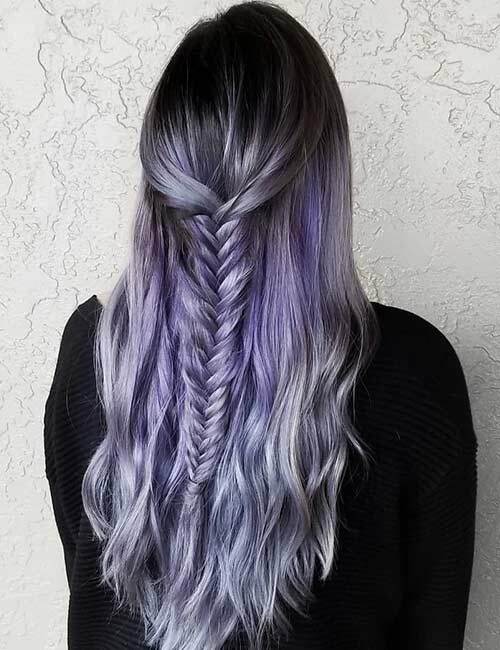 Keep your roots dark and lighten the color into an ashy silver-purple as you reach the ends. Gray is that one color that is all during winter but never on display. Think about it. When fireplaces are lit, gray smoke flies out of the chimney. Once the fire is out, the wood is ashy gray. Though never in the spotlight, gray is one color that really stands during winter. 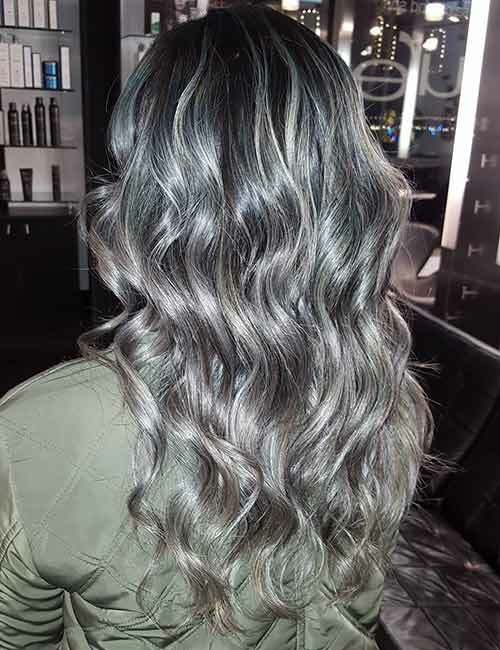 Steal the spotlight by coloring your hair in a steamy gray shade. Smoky colors are the chicest to sport this winter. Colors like deep blue, soft lilac, and deep gray really shine in the cold season. They match the cool-themed vibe of winter. 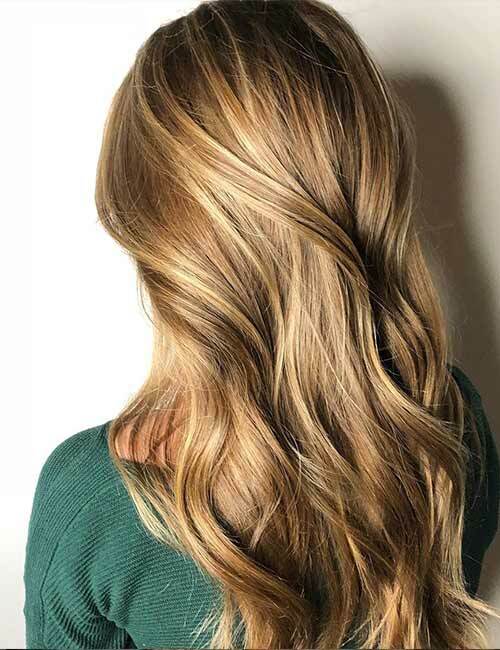 Dark blonde is a versatile hair color. It suits all seasons and all skin tones. This winter, opt for a dark blonde shade to take your hair to another level. 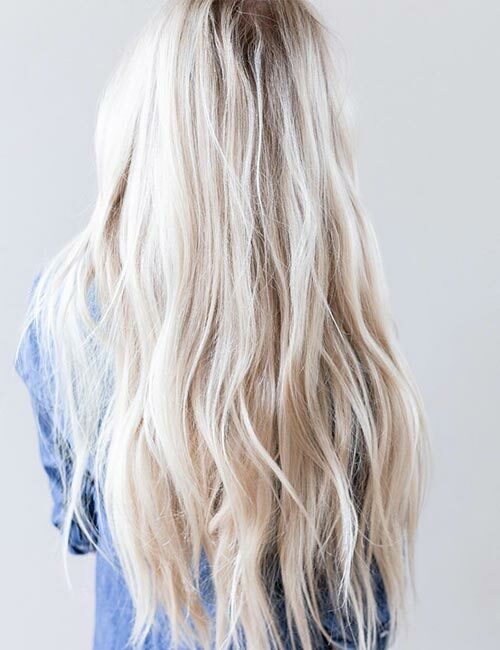 Blend in some more shades of blonde to add dimension, texture, and depth to your hair. 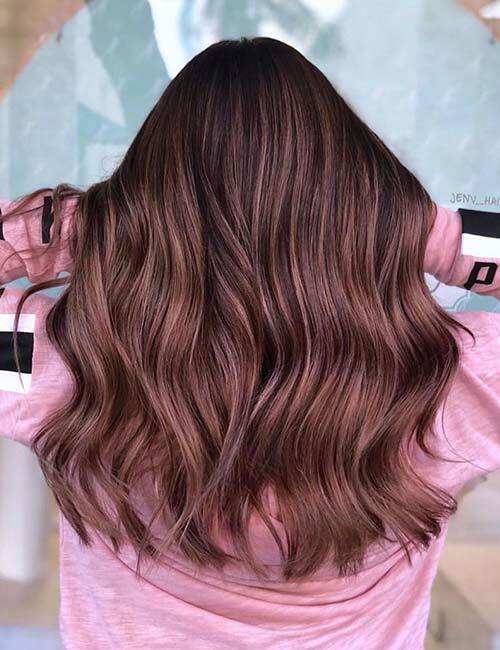 Rose brown has taken the world by storm – so much that even blondes want to go brunette to color their hair this shade. This playful color will bring warmth to your cold environment. 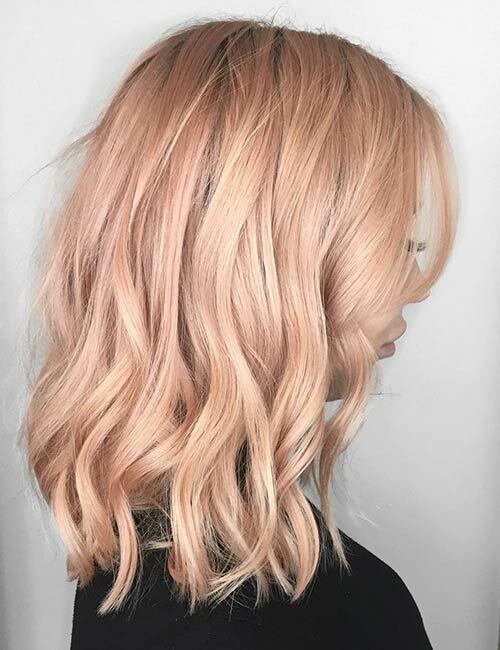 Another color that works well in all seasons: rose gold. It is a warm-toned color that is light but still vibrant. Keep your hair more on the rosy side than gold. 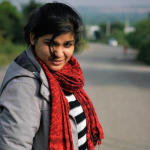 It creates a kickass feminine look. 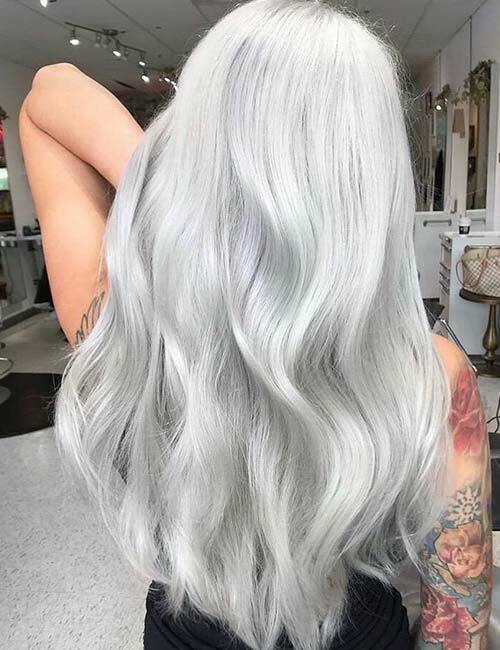 Silver hair goes well with the winter snow. But, instead of going plain silver, opt for a dimensional silver. You can also add in some smoky blue to add dimension to this look. 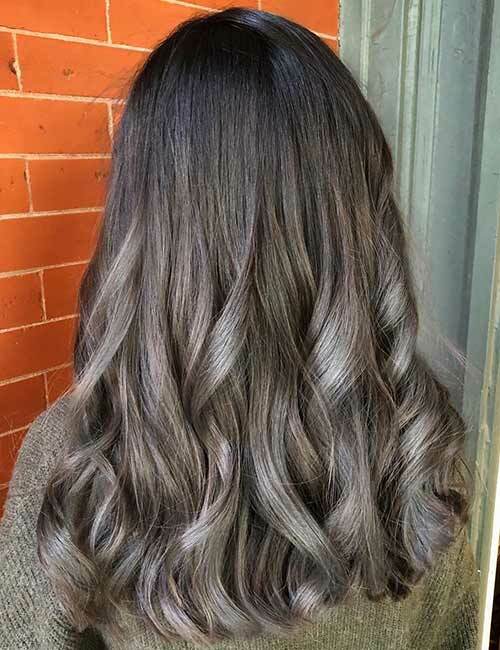 The dimensional silver hair color will also make your hair look thicker. Copper is the color of fire. It symbolizes warmth, which is something we all need in the cold winter. 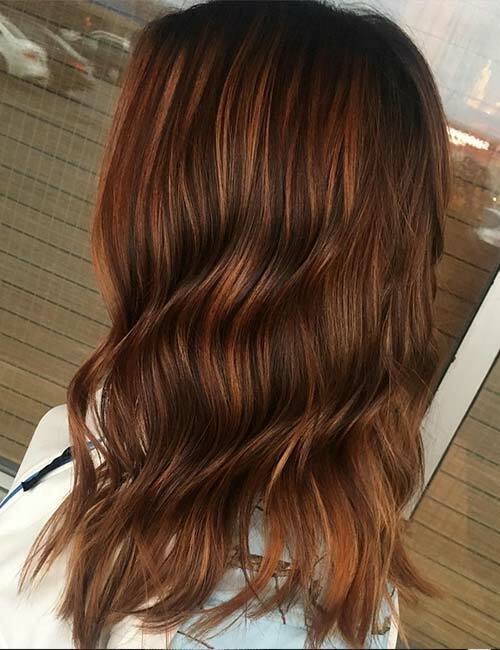 Splurge that warmth onto your hair with this copper balayage, and you won’t be sorry. Your hair will look fabulous! Those were my top picks for winter hair colors. I hope they inspire you to try something new with your hair this winter. Let me know which shade was your favorite in the comments section below!